All of us in the web-design business would have at some point of time tried our hands in editing images and videos. Photoshop has been there in the market for many years. Though it is one of the best editing software products out there, many designers have refrained from using Photoshop owing to its expensive packages and a deep learning curve. But still, we might have lost out on developing good images in the search for alternatives. Our programmers at HireIndianProgrammers have experimented with several photo-editing software applications in different projects. In this blogpost, we will take a look at some of the top alternatives to Photoshop worth trying out in the course of your web development projects. This software application, highly centered on photo editing, has won multiple awards over the years. PhotoLab is known for its high degree of precision and correction editing abilities. 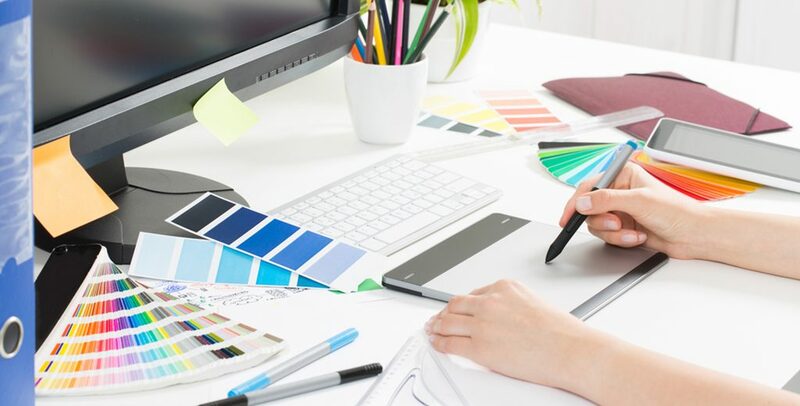 We would recommend it to people who are very serious about their images, including the tiniest details and aberrations, if any and want to always produce the best looking images for their website. PhotoLab is available for both Mac and Windows for $ 145 one-time fee. We’d recommend it readily owing to its provision of class-leading features. If you have a team of web-designers spread across different locations and want to bring everyone into the same project that involves, the Figma is the application for you. High on scope for innovativeness, this software application allows room for collaborative design. Available for Windows, Mac, Linus at a $ 12 monthly subscription, one crucial advantage is that you can see the live input of your team right on your desktop. Available at a one-time fee of $ 49.99 for both Windows and Mac, this is mainly geared towards the professionals and hard-core web-programmers, especially those who have experience with Photoshop itself. In fact, we would go as far as to say that Affinity Photo is an efficient version of Photoshop. It is performance oriented and much faster than Photoshop. Krita could be said to be a direct alternative to Photoshop. This is because Krita’s UI is very similar to Photoshop with familiar set of tools. It is also touted as a digital programmer’s paradise, because of its support for designing on tablets. How cool and convenient is that? Now programmers could design on their tablets easily and improve their workflow. What’s more? It is a professional and open source application having support for concept art, texture and matte, illustrations and comics. We know that some of you might not have used Photoshop till now. Fret not, for SumoPaint comes to your rescue. SumoPaint is especially very useful for beginners, those who are new to world of editing itself. It is a free app, with UI resembling that of earlier versions of Photoshop and also has support across different operating system. Need a beginner ask more? Can’t afford to spend too much time in complex editing? Then this app is for you. Pixlr X is the next revamped version in the Pixlr series. Marketers, bloggers and programmers alike would find Pixlr X to be appealing because it has provision for editing within browser and even directly on the cloud like Dropbox. Completely free, Pixlr has numerous features enjoying multiplatform support – something that is necessary for business people. The most expensive alternative in this list, we recommend Photo-Paint for the complete professionals who want to do a lot more than just edit. Also, it is available only on Windows so people on Mac would have to switch to the former if they really want to use this premium alternative to Photoshop. If you are running a business and want to make a transition into online market, you could hire dedicated programmers who would possess the requisite tech know-how to develop a full-fledged website from front-end to back-end. We hope that this comprehensive list makes your task easier in choosing a good alternative for Photoshop. For any queries, get in touch with our indianprogrammers here.